The city of New York is not only the most populous and diverse city in the nation, but it is also one of the most influential cities in the entire world. Almost one million of its residents happen to be over the age of 65 and trends show that its elderly population will only continue to grow in the near future. The New York nursing home abuse & neglect attorneys of Nursing Home Law Center LLC are committed to ensuring that all seniors are treated with dignity and respect regardless of their history or way of life. We’ve compiled the following data to help you protect your elderly loved ones when needing to place them in nursing facilities. According to data maintained by Medicare, there are 619 nursing homes in New York State routinely monitored through surveys, inspections and investigations involving formally filed complaints. The federal agency states that 195 (32%) of these facilities were identified with serious violations and deficiencies that led to substandard care. If your loved one was injured, harmed, mistreated, abused or died unexpectedly from neglect while living in a New York nursing home, we urge you to contact the New York nursing home abuse & neglect lawyers at Nursing Home Law Center today. Let us review your claim for compensation through a free case evaluation to ensure your family receives the financial recovery they deserve. Throughout the entire history of the United States, New York has had an expansive amount of influence on the county and across the globe. From 1785 until 1790, it was the nation’s capital and is now considered the capital of the financial industry throughout the world. Since it has been the historic gateway through which most legal immigrants migrated and continue to migrate into the country, it is also home to an incredibly diverse population. Almost eight-hundred languages are spoken throughout the city— a testament to the melting pot it has become. This also means that immigrants make up a significant portion of the city’s senior population. Out of a total of nearly one million residents aged 65 or older, 463,000 are immigrants. These immigrants tend to only have half the income of natural born seniors and are twice as likely to be declined social security benefits. Since nursing care is so grossly expensive, it is only right that those needing full time care be treated with respect and dignity. Many immigrant nursing care patients are supported by their children or other relatives, and they have the right to demand accountability when negligent care results in an injury or death. Our New York nursing injury lawyers have gathered information regarding the worst rated nursing homes in the city so that you are able to both avoid homes with a history of poor care and educate yourself on the most common nursing home concerns in your area. We’ve only shown the most poorly rated facilities below, so if you would like more specific information about the facility taking care of your loved one or about a home not listed, you can visit the Medicare Nursing Home Compare tool at https://www.medicare.gov/nursinghomecompare/search.html. Often times, placing a loved one in a New York nursing facility is the only option to ensure they receive the care they require. Nursing homes are legally obligated to protect their patient’s health and well-being because many elderly and disabled residents at the facility are medically challenged and in need of continuous care. Families expect the medical staff to provide their loved one respect, dignity and kindness. In spite of the family’s expectations, many nursing home patients become victims of neglect and mistreatment. Upon admittance to a New York nursing home, the patient’s health condition should be fully assessed by a competent doctor who develops an effective health plan to meet the specific needs of the new resident. In addition to following the health plan to maintain a quality of life, the nursing staff must assist every resident with personal hygiene and daily necessities. Each patient should be fed quality meals and provided adequate liquids to ensure they remain hydrated. 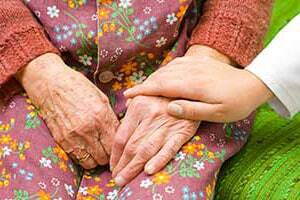 Unfortunately, neglect is an all too common problem in nursing homes that are understaffed. Administrators often focus more on making profits and less on hiring competent nurses and nurse’s aides. Operating with a minimal staff often leads to the neglect of patients’ needs, especially when the nurses and nursing aides lack sufficient training to provide basic health care. As a result, many nursing home residents fall victim to acquiring bedsores while at the facility. As New York nursing home negligence attorneys, we are committed to obtaining the maximum recovery possible for your loved one. A bedsore (decubitus ulcer; pressure ulcer; pressure sore) can occur easily when the medical staff does not properly monitor the patient’s skin. Bedsores tend to develop on bony prominences on the body including toes, heels, ankles, hipbones, tailbone, shoulders, shoulder blade, spine and the back of the head. The sore begins with constant pressure in areas where the body makes continuous contact with the mattress, pad or chair. The pressure blocks blood flow, restricting oxygen to the skin and underlying tissue, causing a sore to develop after just two hours. In its early stages, a bedsore will appear as red dots with or without blisters. Typically, the skin surrounding the sore will be more or less firm than the reddened area. If the pressure is not alleviated, the sore can easily progress to an advanced stage where a shallow crater appears, often exposing fatty deposits. Without immediate and effective treatment, the pressure sore can easily progress into a serious decubitus ulcer where the shallow crater now deepens significantly. In its final stages, the pressure ulcer will begin exposing muscle and bone, making the area susceptible to deadly infections of the blood (sepsis) or bone (osteomyelitis). Sadly, the deaths of many nursing home patients who succumb to advanced bedsores could have been prevented had the staff provided adequate care. Because of that, many families choose to hire a New York sore lawyer to seek compensation and hold the responsible parties accountable for their negligent actions. A facility-acquired bedsore is often sign of reprehensible negligence at the facility. This is because developing pressure sores can be prevented easily when the medical staff routinely turns or readjusts the patient’s body every two hours or less. Alleviating the pressure allows the oxygen to return to the skin. Successful nursing homes follow strict guidelines to ensure that every mobility-challenged patient at the facility is turned or readjusted every two hours around-the-clock. This simple procedure alleviates the pressure and minimizes the potential of developing a facility-acquired bedsore. If you have been informed that your loved one has suffered a facility-acquired bedsore it is important to take legal action to stop the neglect now. Fill the contact form here to schedule an appointment with a reputable New York bedsore lawyer. These attorneys take cases on contingency meaning no upfront fees are charged. They can offer a variety of legal solutions to stop the neglect of your loved one and seek financial compensation for your loss and damages. Our New York nursing injury lawyers are available to answer any questions you have about your loved one’s rights and are happy to investigate on your behalf if you feel your loved one is being mistreated. Common symptoms of abuse to look for include the following. Sudden change in behavior such as outbursts of anger or sudden depression. Sudden weight loss and symptoms of dehydration such as dark urine, confusion, lightheadedness and faintness. Unexplained infections, bedsores, physical or sexual wounds or hospitalizations. 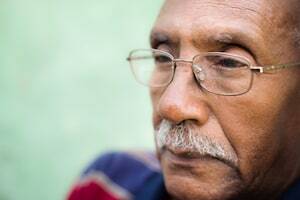 Fear of caregivers, which may be manifested by remaining silent in their presence or changes in behavior that occur immediately following their arrival or departure. Nursing Home Law Center LLC has helped victims of nursing home abuse and neglect across the entire nation and we are confident that our award winning New York nursing home abuse attorneys can do the same for you. If you believe that your loved one is being neglected or abused, contact us today and we will review your case free of charge so that you know what legal options are available and whether you should proceed with a lawsuit. If we are unable to collect compensation on your behalf, our services will be free.